Confirm a Kill are one of Nottingham’s leading local pest control specialists. We have over 25 years’ experience dealing with unwanted pests in homes and commercial premises both in the city and the surrounding areas. We are members of both Prompt and NPTA and all our work is fully guaranteed. 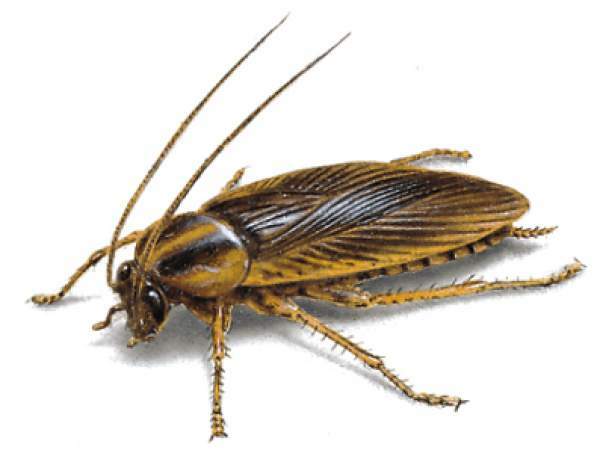 Our cockroach control and removal service deals with all varieties of this type of unwelcome pest. Initially, we carry out a free survey and assessment to understand the scale of the infestation. Based on this we will provide a quotation for completing the work which comes with our price guarantee. Due to the nature of this insect, they can spread rapidly throughout a property. A quick response and treatment of this pest is essential as soon as they are spotted. There are over 3000 cockroach species around the world. In Britain, there are two main types, the Oriental and German Cockroaches. The German Cockroach is found in virtually every corner of the globe. They are distinguishable from other species by two dark stripes across their thorax. They measure between 10mm and 15mm and are a yellow/brown colour. The German Cockroach prefers conditions that are wet and humid and so are typically found indoors in kitchens and bathrooms. If you have an infestation of German Cockroaches, then you need to act fast as they are known for reproducing very quickly. A female can produce 4 to 6 egg cases in her lifetime. Each egg case will hold between 30 to 40 eggs. She will carry the cases until 1 to 2 days before hatching. They have relatively short life spans of just 100 to 200 days but in that time, they can produce up to 240 offspring. Unlike the German Cockroach, the Oriental variety is perfectly adapted to live in the natural environment. They are shiny black or dark red/brown in colour and measure up to 32mm in length in the case of females and 25m in the case of males. The Oriental Cockroach will thrive in chilly damp conditions and so around a home can be found in piles of leaves or under mulch in flower beds. They are not averse to entering your property and will set up home under porches or inside wall cavities. In towns and cities, they are commonly found inhabiting sewers. As with the vast majority of cockroach species, they reproduce extremely quickly despite a short lifetime, in this case approximately 180 days. Females can produce up to 8 egg cases with one each containing as many as 16 eggs. She will deposit her egg cases in a suitably quiet and well-hidden place and around 12 weeks later the nymphs will hatch. Although the diet does vary from between species, in general, they can definitely be categorised as not being terribly fussy. They will feed on almost anything including rubbish, faecal matter and most types of food. They can last for up to two months without consuming food. However, they do need a good source of water and can survive for no more than two weeks without drinking. 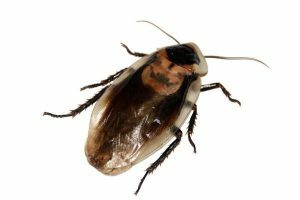 Cockroach Control – Why Is It Necessary? The main issue arising from cockroaches is food poisoning. As mentioned above they will eat just about anything. That means that whilst foraging for food they pick up all sorts organisms that can cause food poisoning plus lots of other unpleasant bacteria. Whilst foraging they can transfer these bacteria and organisms onto food, into cupboards or onto food preparation areas. Cockroaches can be especially damaging to a business that serves food. Their presence can affect a large number of people and also ruin the reputation of the establishment. As with many unwanted pests that can be found in or around homes and businesses it’s often the case that the signs of the pest are easier to spot that the pest themselves. Cockroaches are nocturnal and so will stay hidden away during daylight hours and venture out to feed at night. 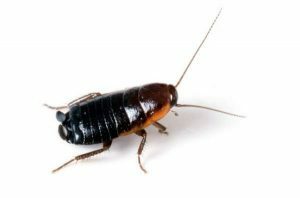 Droppings – The size and volume of droppings can vary depending on the type of cockroach, their diet and the availability of water. Typically, it will vary from small specks that resemble pepper, larger brown faeces that look a little like ground coffee to small oval pellets. When looking for droppings check behind kitchen appliances, inside cupboards and in or around any other areas of the home where food is kept. Smell – Cockroaches produce a musty, pungent smell that lingers in the air. A strong smell may indicate a large infestation. Although with some species just one cockroach can produce a strong enough smell for humans to notice. Egg Cases – As mentioned above cockroaches reproduce at an alarming rate. If you don’t catch the problem quickly it can escalate into a full-blown infestation. However, their reproducing does leave behind some obvious signs as the eggs cases remain once the eggs contained inside have hatched. They will generally be found stuck to surfaces in areas that the cockroach would consider quiet. Smear Marks – If there is plenty of water available to the cockroaches then they can leave smear marks in areas where they are regularly moving around. These will appear as irregular shaped brown marks. Look out for them inside cupboards, along skirting or in the corners of rooms. Cockroaches look for places that have a ready supply of food and water, that can provide warmth and have some quiet areas where they can nest. Home and businesses, therefore, make perfect locations for them and once they move in they can be tricky to remove. It’s, therefore, a good idea to follow these preventative measures. They not only apply to cockroaches but a number of other common pests. Remove Food Sources – The best deterrent is to remove any access cockroaches have to food. Ensure surfaces and floors are free from foodstuff by cleaning regularly. All food in cupboards should be kept in airtight containers. If you have pets and leave food down for them get into the habit of picking the bowl up once they’ve finished eating. As we mentioned above cockroaches are not fussy eaters and will think your rubbish is a 5 Star meal. Make sure all rubbish is properly disposed of in bags that are well sealed and placed in rubbish bins that a roach cannot access. De-Clutter – Pest, including cockroaches, love clutter as it provides the perfect places for them to hide. The less clutter you have both inside and outside your home or business the fewer places they will have to take refuge. Remove Sources of Water – Cockroaches need to drink more often than they need to eat so if you remove any easy sources of water this will go a long way to preventing an infestation. Small Animal Cages – If you have pet mice, hamsters, guinea pigs or other small animals make sure their cages are cleaned on a regular basis. Animal faeces is another nice meal for roaches. A dirty cage may lead to some unwanted visitors for your little furry friends. Cockroaches are very good at hiding. It may be that by the time you think you have a problem there may already be an infestation. Due to the speed, they reproduce they can take hold extremely quickly. The best and most effective option is to seek professional help straight away. If you think that you have a problem with cockroaches then get in touch with us for a free, no obligation quote.